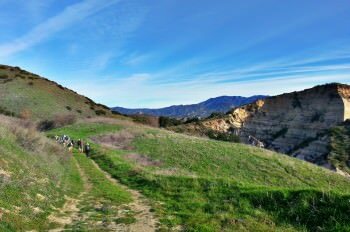 Led by Laguna Canyon Foundation Naturalists, learn about the many fascinating uses of California native plants during the pre-mission period on this 2-mile hike (490-ft. elevation gain) over steep and uneven terrain. This hike will focus on plants used historically for tools, food and building materials. For ages 12 and older, accompanied by an adult. Bring hiking poles if you use them. Please wear appropriate shoes, sun protection and bring water. Laguna Coast Wilderness Park, James Dilley Preserve (I-5 or 405 south to 133 south to stoplight at 73 toll road; make a U-turn, go 1 block. Dilley is on the right.) Closed-toe shoes required; hiking poles if you use them. 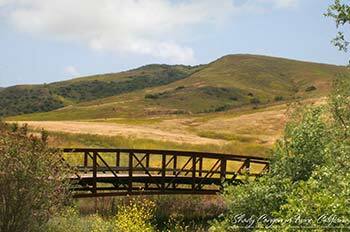 Online reservations required: www.lagunacanyon.org/activities. For questions, call: 949-497-8324, Mon-Fri; 949-923-2235 Sat/Sun. Parking: $3.